Pink is the perfect color for baby girls. 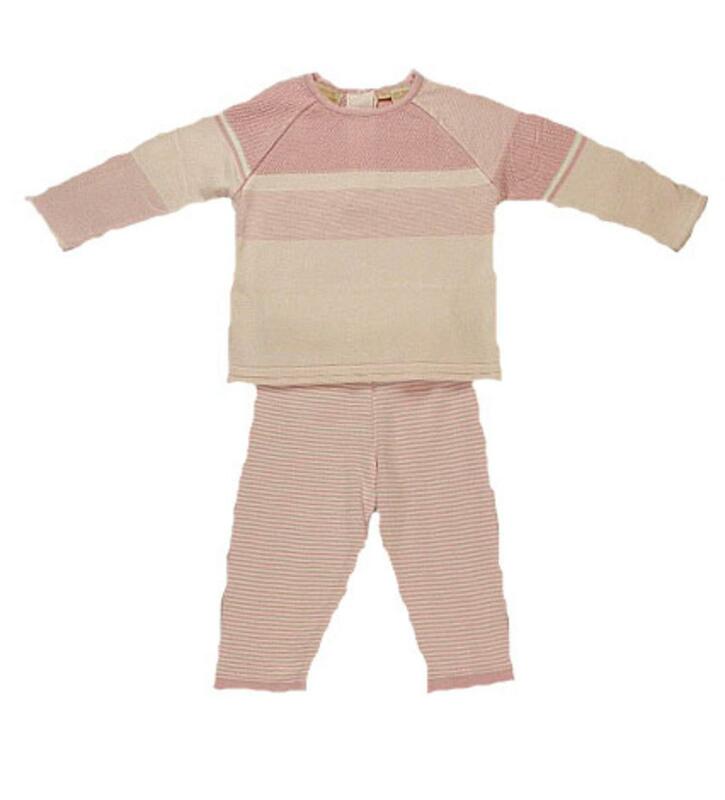 This light pink long sleeve sweater has dark pink and white knit stripes mixed in on the sleeves and chest. The back of the shirt has two snaps to accomodate getting over a childs head. The pants are matching pink and white striped with an elastic waist. This soft outfit is 100% cotton.